Materials can be used to tell a story. Maybe you have a scene in an old neighborhood. You might find brick that has been eroded by wind, or you might find an accumulation of dirt or pollution. Perhaps there's graffiti. Materials can be as simple or complex as your imagination can conjure. Materials, combined with textures, not only create nice patterns that go onto modeled objects, they also add elements of visual complexity to the model without adding complex geometry. Using bump/normal/displacement maps help achieve this sort of complexity for things such as doing brick or tile on an otherwise flat wall. The possibilities are endless. 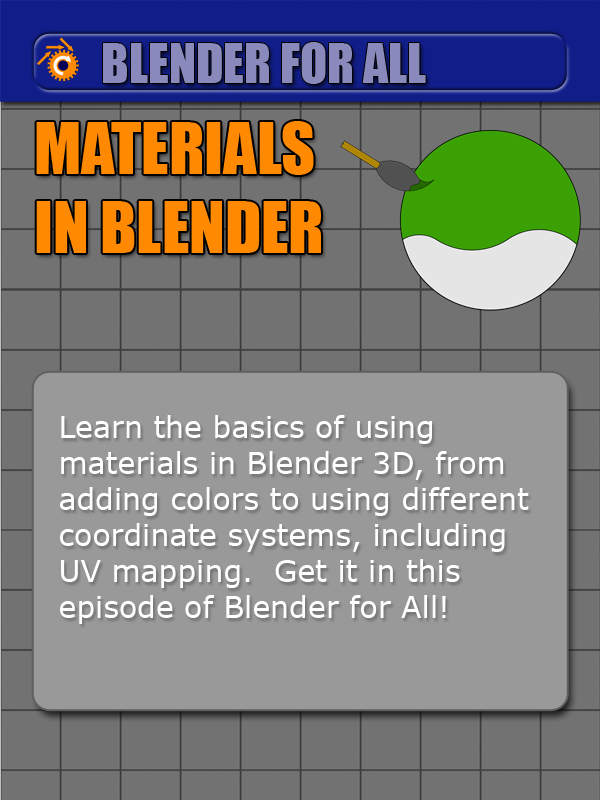 So let's take a look at how we can work with materials in Blender with this episode of 'Blender for All'!